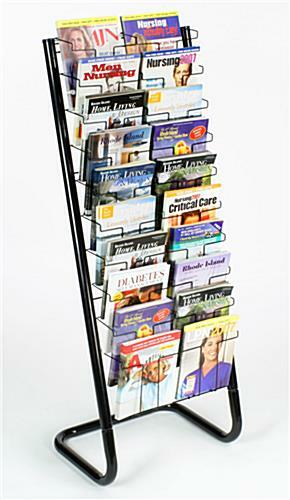 These Paper Display Racks for Showcasing Magazine Selections are Simple to Install! The Basic Metal Design Goes Together in Just Minutes! 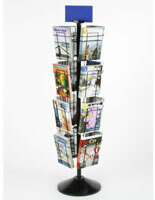 Purchase Paper Display Racks Online from the Most Trusted Supplier! 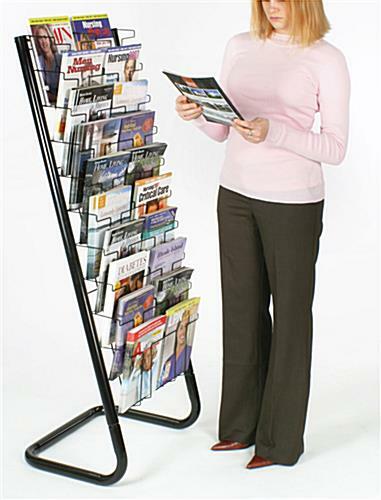 These paper display racks are idyllic solutions for organizing printed materials in retail stores, libraries, and other community locations. 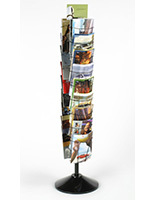 The metal displays each feature (20) pockets that can showcase magazines, leaflets, periodicals, forms, and documents. 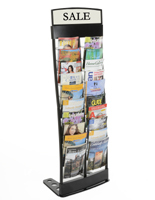 Virtually any store will benefit from the paper display racks simply because they are so versatile. The literature holders are especially useful at travel bureaus where information regarding cruise options, tours, and other vacation packages are commonly distributed. 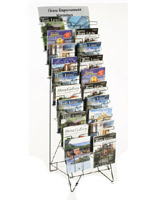 The paper display racks, also known as stylish organizers, are able to exhibit important forms in any setting. 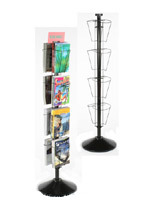 The metal literature stands provide a massive amount of storage without taking up too much space on the floor. Each of the (20) pockets is sized for 8-1/2" x 11" materials. 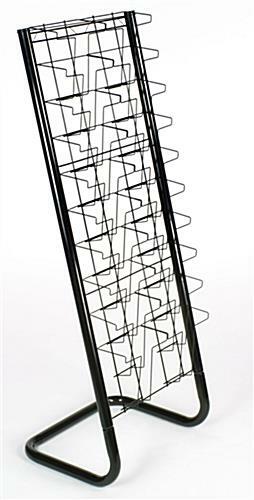 The paper display racks measure 4-3/4' high, so they can draw customers closer even from across a store. The holders fit up to 2" of materials in each pocket. 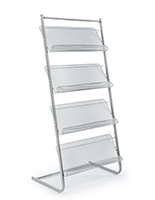 The metal floor stands are extremely practical tools for many applications, including pharmacies, universities, libraries, community centers, and grocery stores. 22.1" x 57.0" x 17.3"
9.3" x 8.0" x 1.1" x 4.5"